Last month for me ended with a much needed girls' weekend in Valencia. Although we didn't get the beach weather we were hoping for, it could have been a blessing in disguise because now it's a reason to go back later. Although the highlight of the trip was spending time with friends, there are a few must-do's of Valencia we took part in. First and foremost, paella, and the traditional Valenciana kind consisting of chicken, rabbit, and green beans. This was shared between five people and it completely knocked us out. Paella: 1. Guiris: 0. 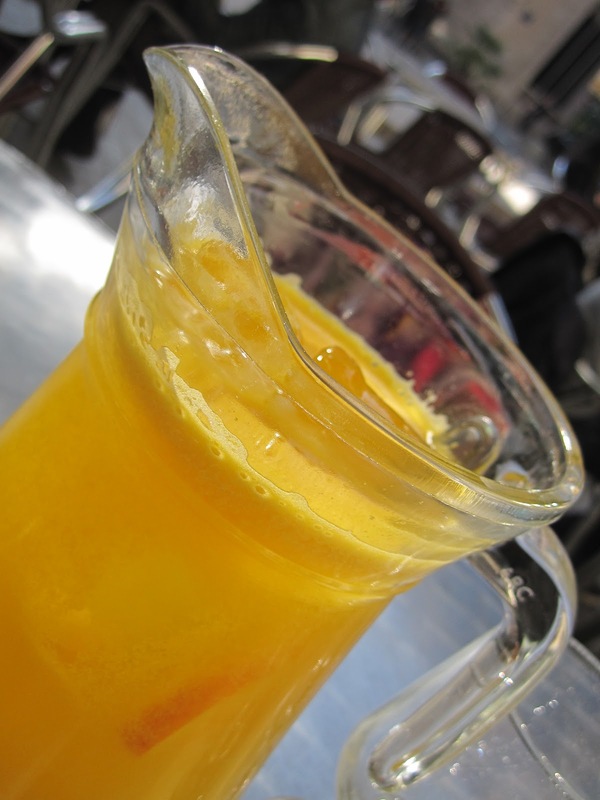 Agua de Valencia: a fairly touristy treat, but well worth it. Think sangria with an orange juice base rather than red wine, or a spiked mimosa. It's perfect to sip on for an afternoon while soaking up the rays. Parque de Ciencias: For me it's modern architecture and smooth, clean lines were a complete contrast to everything I'm used to in Andalucía. Both styles, I've come to learn, are beautiful and enjoyable in their own way. Valencia, no te preocupes, we'll be back.